Chronic illnesses can cause wide range of personality and behavioral disorders and require appropriate evaluation. Poor patient compliance with prescribed medications and other aspects of management can affect the outcome towards undesirable situation. The setting of renal transplantation presents a broad spectrum of problems and consequences. People involved (patients, their families or treating physicians) have lifelong commitment with evaluation and implementation of measures towards resolving the issues. Psychiatric evaluation is part of this scenario, which starts with evaluation of organ recipient along with donor and family as whole, right from time of diagnosis of end organ failure to transplant and then lifelong. This review highlights common issues faced at different stages of this lengthy pathway. Hemodialysis has improved the morbidity and mortality associated with end stage renal disease. In India, hemodialysis prescription is empiric, which leads to complications related to under-dialysis. Hence, adequacy of hemodialysis in Indian setting was analyzed in this study. A total of 50 patients on twice per week hemodialysis were assessed for 1 month. The number of sessions meeting standards laid out by Kidney Diseases Outcome Quality Initiatives (KDOQI) guidelines were calculated. They were divided into two groups: one in whom dialysis was monitored and session length enhanced to meet the minimum standard Kt/V of 2 and second control group; where Kt/V was not monitored. Hemoglobin (Hb) levels, albumin levels, mean arterial pressure and World Health Organization (WHO) quality of life (QoL) score were compared in the two groups after 6 months. 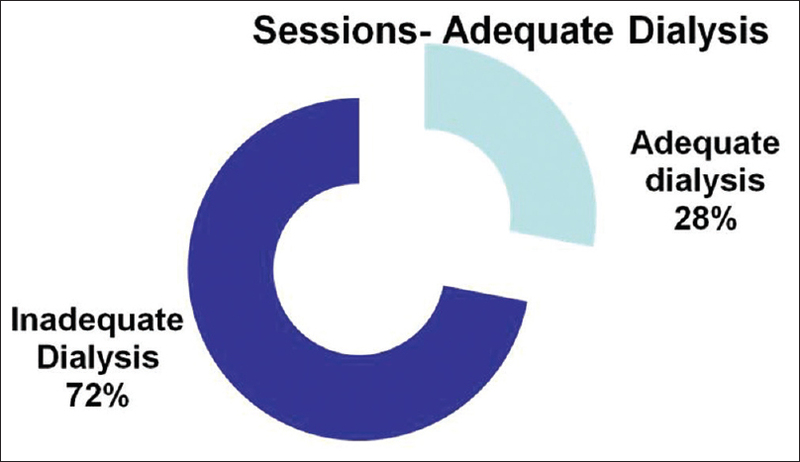 Only 28% of hemodialysis sessions were adequate as per KDOQI guidelines. There was significant improvement in Hb levels (1.47 vs. 0.15 g/dl), mean arterial pressure levels (15.2 vs. 3.16 mm Hg), serum albumin levels (0.82 vs. 0.11 g/dl) and WHO QoL score (17.2 vs. 2.24) in study group as compared to control group. Standard Kt/V can be used as an important tool to modify twice weekly dialysis sessions to provide better QoL to the patients. However, studies with larger sample size are required to conclusively prove our results. The aim of our study was to find out the antiproteinuric effect of enalapril angiotensin-converting enzyme (ACE inhibitor) alone or in combination with cilnidipine in patients with type-2 diabetes mellitus. The study was conducted on 71 patients with type-2 diabetes mellitus patients with hypertension and microalbuminuria. They were divided into two groups randomly as follows: Group I (enalaprilalone, n = 36) and Group II (enalapril with cilnidipine, n = 35). In both the groups, baseline 24 h urinary albumin was estimated and was repeated every 3 months upto 1-year. After 1-year follow-up, reduction in microalbuminuria was found to be greater in Group II. 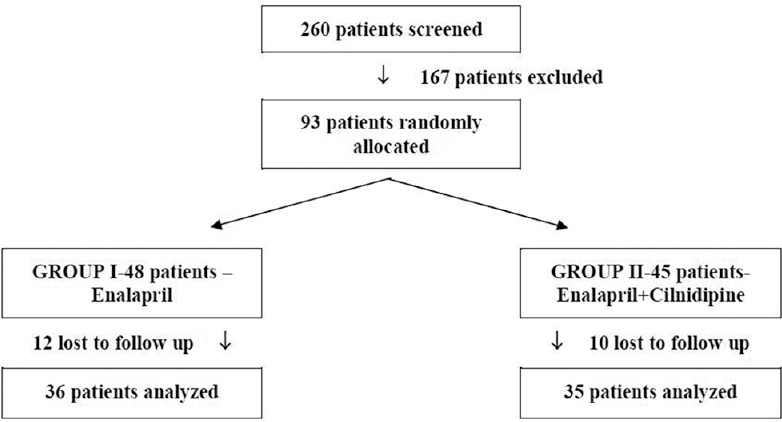 In Group I microalbuminuria came down by 25.68 ± 21.40 while in Group II it reduced by 54.88 ± 13.84 (P < 0.001). We conclude that in diabetic population, cilnidipine has an additive effect in microalbuminuria reduction over and above the well-proven effect of ACE inhibitors. Weight gain after kidney transplant is common, and may be related to graft dysfunction and high cardiovascular risk. We investigated the prevalence of obesity and evaluated the relationship between obesity and graft dysfunction in kidney transplant recipients (KTRs). All patients who received kidney transplant at the Charlotte Maxeke Johannesburg Academic Hospital (CMJAH) between January 2005 and December 2009 were recruited. Information on demographics, clinical characteristics and post-transplant care were documented. All patients underwent transthoracic echocardiography and carotid Doppler ultrasound for the assessment of cardiac status and carotid intima-media thickness (cIMT), respectively. Inferential and modelling statistics were applied. One hundred KTRs were recruited, of which 63 were males. The mean age was 42.2 ± 12.42 years with a range of 19-70 years. The mean body mass index and waist circumference of the recipients were 26.4 ± 4.81 kg/m2 and 90.73 ± 14.76 cm, respectively. Twenty-nine patients (29%) were obese; of these, 24 (82.8%) had moderate obesity, 4 (13.8%) had severe obesity, and 1 (3.4%) had morbid obesity. 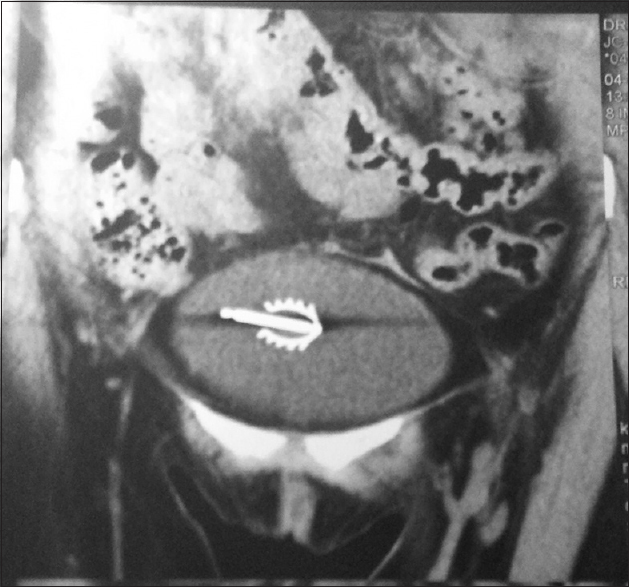 Graft dysfunction was present in 52%. Obese patients were older (P < 0.0001), had graft dysfunction (P = 0.03), higher mean arterial blood pressure (P = 0.022), total cholesterol (P = 0.019), triglycerides (P < 0.0001), left ventricular mass index (P = 0.035) and cIMT (P = 0.036). Logistic regression showed obesity to be independently associated with graft dysfunction (P = 0.033). Obesity after kidney transplantation is common and is associated with graft dysfunction and markers of atherosclerosis. 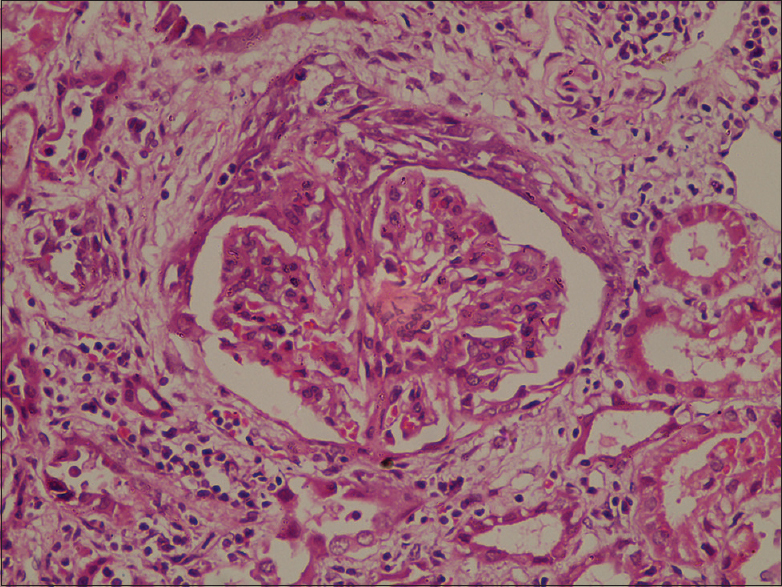 Proliferative glomerulonephritis occurring as a consequence of monoclonal glomerular deposits of IgG is uncommon. It is a form of renal involvement in monoclonal gammopathy that mimics immune complex glomerulonephritis. 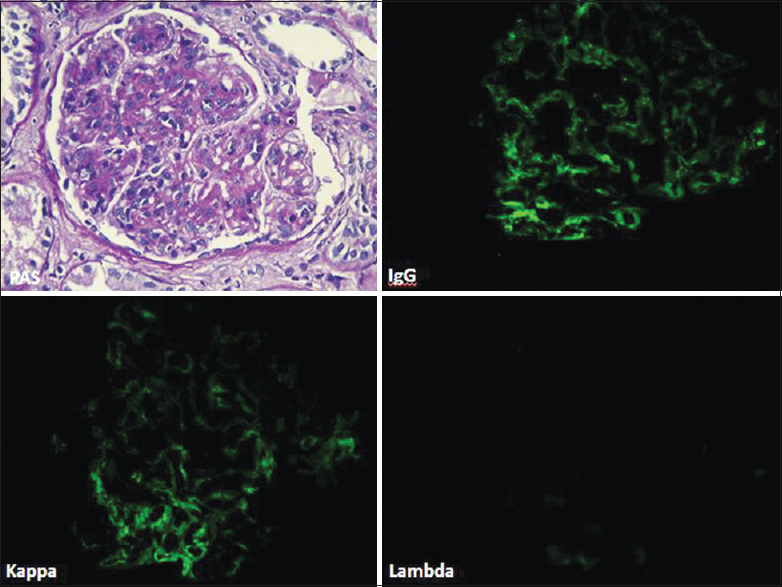 Here, we report the first series of proliferative glomerulonephritis with monoclonal IgG deposits (PGNMID) from the Indian subcontinent highlighting use of light chain immunofluorescence (IF) in routine renal biopsy interpretation. We retrieved 6 patients diagnosed as proliferative glomerulonephritis with monoclonal IgG deposits (PGNMID) out of 160 biopsies (3.7%) with membranoproliferative patterns over 5 1/2 years (2009–2014), one of whom had recurrence 6 months post-renal transplant. Four (67%) patients presented with rapidly progressive renal failure and two (33%) with nephrotic syndrome. None of these patients had overt multiple myeloma. 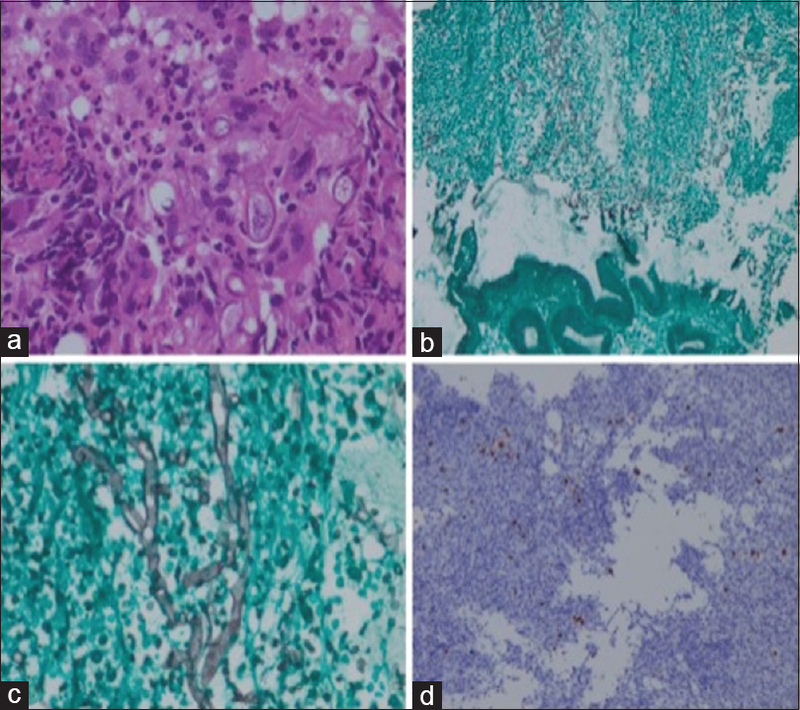 The predominant histologic pattern was membranoproliferative with all the biopsies showing IgG3 Kappa deposits on IF. The deposits were primarily subendothelial on electron microscopy. In the last decade, paired kidney exchange (PKE) transplantation has gained popularity worldwide as a viable alternative for end stage renal disease (ESRD) patients who have incompatible or sensitized donors. This study presents our experience with PKE transplantation and compares outcome between PKE and non-PKE renal transplant recipients. Between February 2010 and November 2013, 742 transplants were performed, of which 26 (3.5%) were PKE transplantations. All were two-way exchanges. PKE recipients were significantly older than non-PKE (46.73 ± 9.71 vs. 40.08 ± 13.36 years; P = 0.012) while donor ages were comparable. PKE patients had significantly higher number of HLA mismatches (5.03 ± 1.14 vs. 3.49 ± 1.57; P < 0.0001). 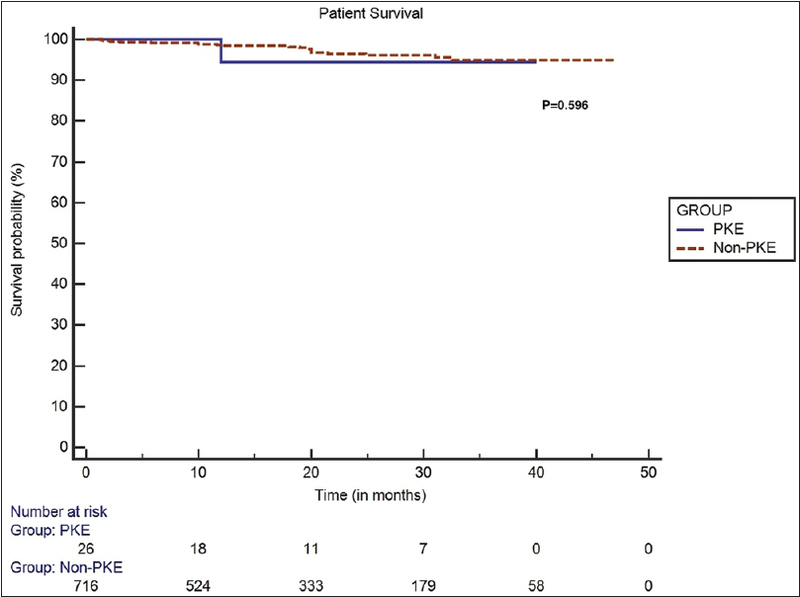 After a median follow-up of 20 months (range: 3–47 months), there was no significant difference in patient survival (PKE 96.16% vs. non-PKE 96.65%; P = 0.596) and death censored graft survival (PKE 96.16% vs. non-PKE 96.37%; P = 1). Mean serum creatinine at 1 month and at last follow-up was lower in PKE versus non-PKE group (0.98 ± 0.33 vs. 1.3 ± 0.61 mg/dl; P = 0.008 and 0.96 ± 0.30 vs. 1.27 ± 0.57 mg/dl, P = 0.006, respectively). Biopsy proven acute rejection rate was 11.5% in PKE group and 16.89% in non-PKE patients (P = 0.6). To conclude, paired kidney donation is an excellent way of increasing the donor pool and needs to be promoted to overcome the shortage of suitable kidney in our country. Hypertension is common in children with chronic kidney disease (CKD) and is a major determinant of CKD progression. Ambulatory blood pressure monitoring (ABPM) has been proposed to be better in detecting hypertension as compared to casual blood pressure (CBP). This study aims to study the usefulness of ABPM in detecting masked hypertension, evaluating the adequacy of blood pressure (BP) control and predicting left ventricular hypertrophy (LVH) amongst children with CKD. 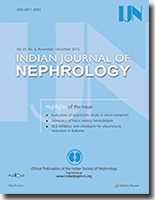 A prospective cross-sectional study of 46 children with stage 3–5 CKD was conducted at the Pediatric Nephrology department of a tertiary hospital in South India. All children underwent CBP, ABPM and an echocardiography. Results were categorized as normal BP; confirmed hypertension; masked hypertension and white coat hypertension. Out of 46 children studied, 11 were undergoing dialysis. While 39.1% children had stage 3 and 4 CKD each, 21.7% had stage 5 CKD. Masked hypertension was detected in 19.6% and 21.7% had confirmed hypertension. Thirty-four (73.9%) children were already receiving antihypertensive medication. In these, CBP was elevated in 23.5% and ABP in 47%. Among children with hypertension as defined by ABPM, LVH was detected in 32.2%. We found that higher the number of abnormal ABPM indices (assessed by BP Index, nocturnal dipping and BP Load) higher the likelihood of LVH (P = 0.046). 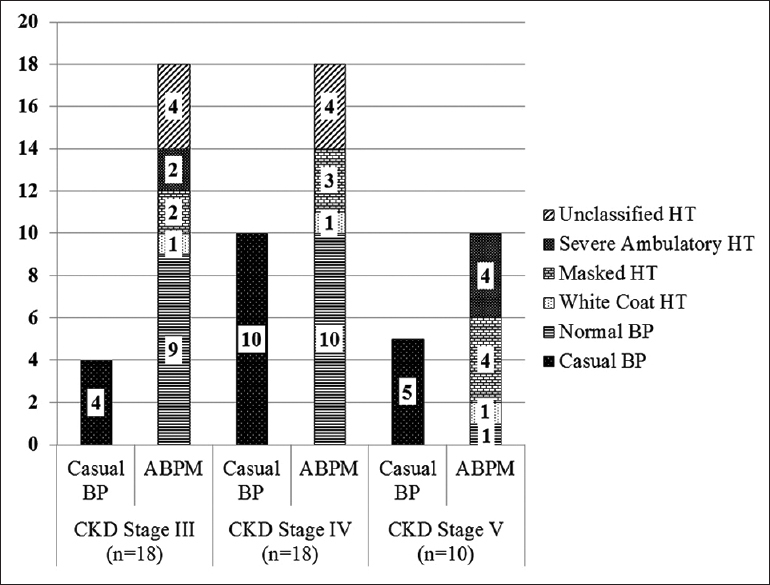 ABPM is better in detecting hypertension and monitoring adequacy of treatment in children with CKD. The high prevalence of masked hypertension and its association with LVH supports early echocardiography and ambulatory BP monitoring to evaluate cardiovascular risks in this population. We report a family with a rare genetic disorder arising out of mutation in the gene that encodes for the enzyme lecithin-cholesterol acyltransferase (LCAT). The proband presented with nephrotic syndrome, hemolytic anemia, cloudy cornea, and dyslipidemia. Kidney biopsy showed certain characteristic features to suggest LCAT deficiency, and the enzyme activity in the serum was undetectable. Mother and younger sister showed corneal opacity and dyslipidemia but no renal or hematological involvement. These two members had a milder manifestation of the disease called fish eye disease. 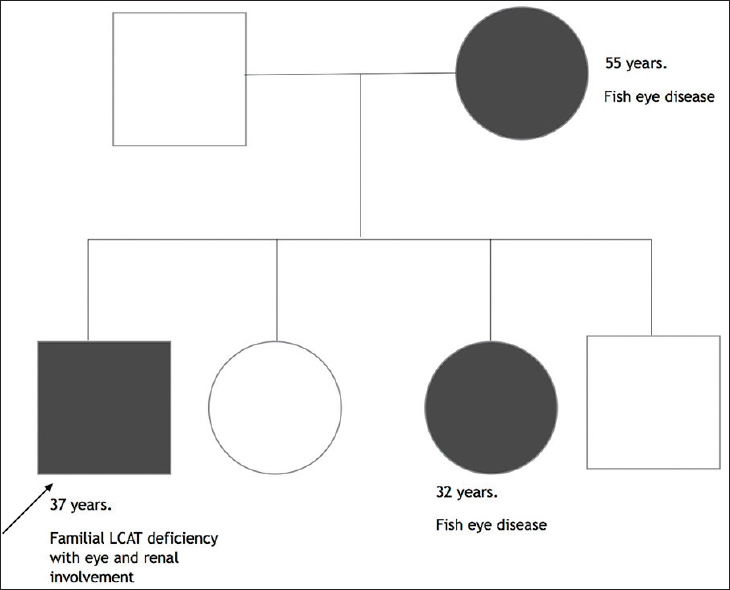 This case is presented to emphasize the importance of taking family history and doing a good clinical examination in patients with nephrotic syndrome and carefully analyze the lipid fractions in these subset of patients. Pure red cell aplasia (PRCA) due to neutralizing antibodies can rarely develop following treatment with epoetin. The treatment of this condition is generally unsatisfactory and immunosuppression is often recommended, which improves chances of hematological recovery. We describe a case of PRCA due to neutralizing anti-epoetin antibodies following therapy with epoetin-α in a 68-year-old man on hemodialysis. 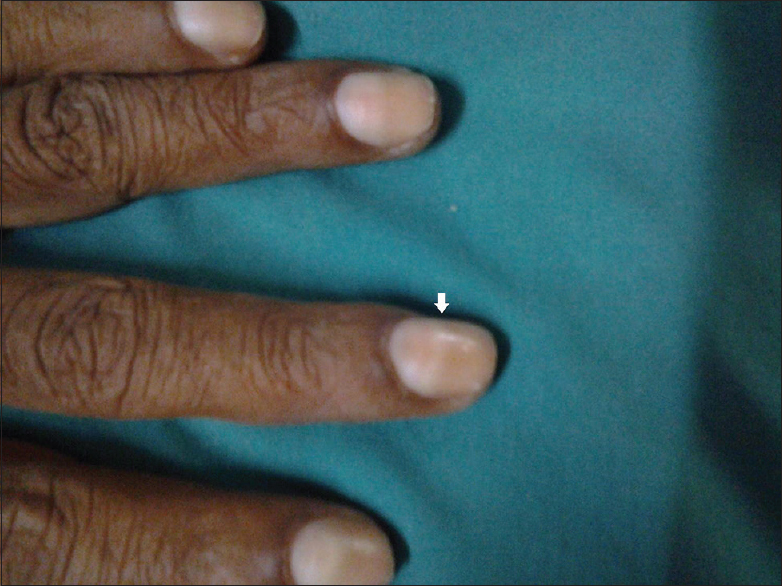 He presented with severe transfusion-dependent anemia and was initially treated with prednisolone and oral cyclophosphamide. However, within 2 weeks the immunosuppressive drugs had to be stopped due to complications, following which he remained transfusion dependent. Subsequently, he was given two doses 700 mg each of rituximab following which there were hematological recovery and resolution of anti-epoetin antibodies. Renovascular hypertension can be managed medically in most cases. 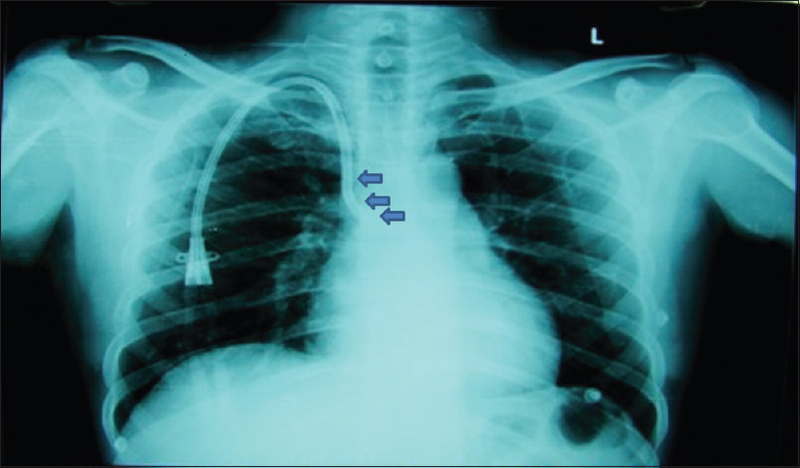 However, in cases of failed medical therapy revascularization is indicated. Splenorenal grafting is one such method for revascularization. 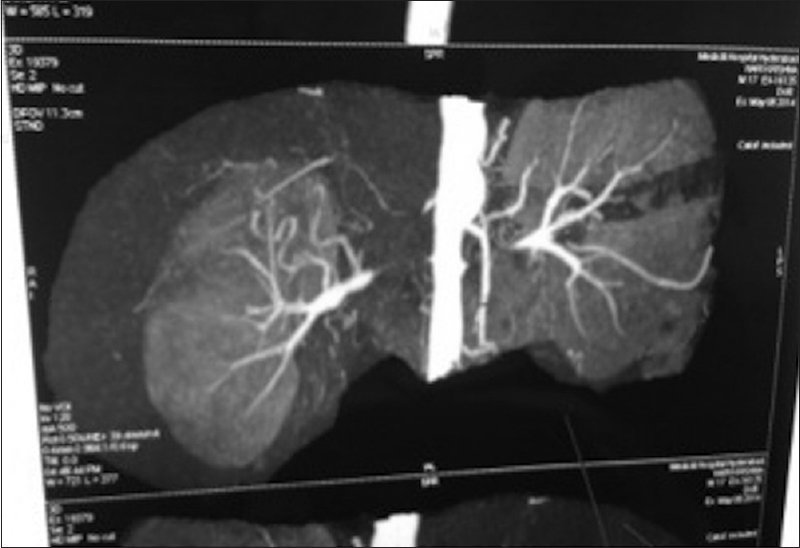 We present a report of splenorenal grafting for the management of resistant hypertension. Opportunistic infections are common in immunocompromised patients, such as solid organ transplant recipients. Both fungal and viral infections in posttransplant period increase morbidity and mortality. Cytomegalovirus (CMV) remains one of the most important pathogens. 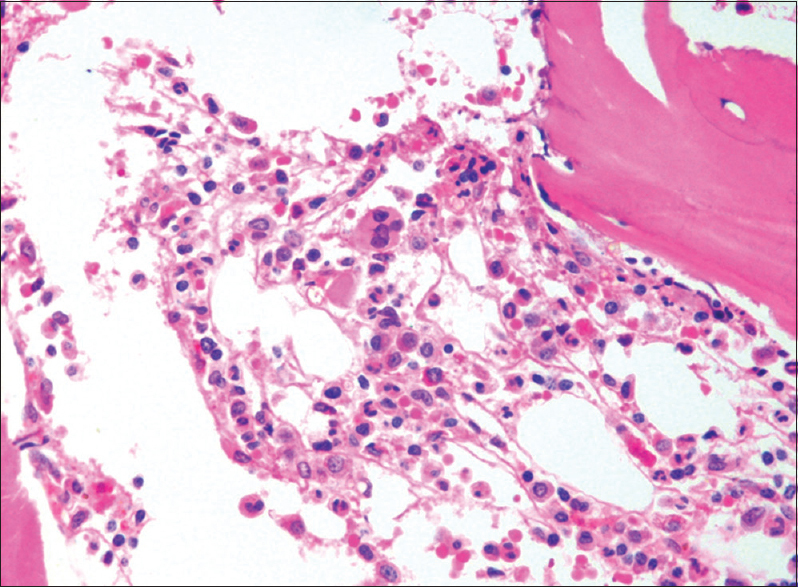 CMV disease may manifest as a nonspecific febrile syndrome or tissue-invasive infections. Zygomycosis is a rare infection, usually presents in rhino-cerebral, pulmonary and disseminated forms; gastrointestinal (GI) tract being a rare site of involvement. Newer techniques for early diagnosis and efficient therapies are essential for a better outcome of the disease; however, mortality rate remains high despite aggressive therapy. We report a renal transplant recipient, who developed gastric mucormycosis along with tissue invasive CMV disease, within 4 weeks of renal transplant and was diagnosed on the basis of upper GI endoscopy and gastric biopsy. 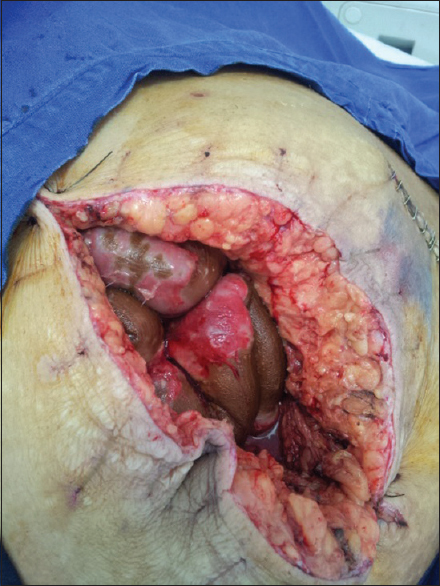 The patient succumbed to the infection in spite of gastrectomy, antifungal and antiviral therapy. A 38-year-old female on Vitamin D therapy presented with hypercalcemia induced acute kidney injury. 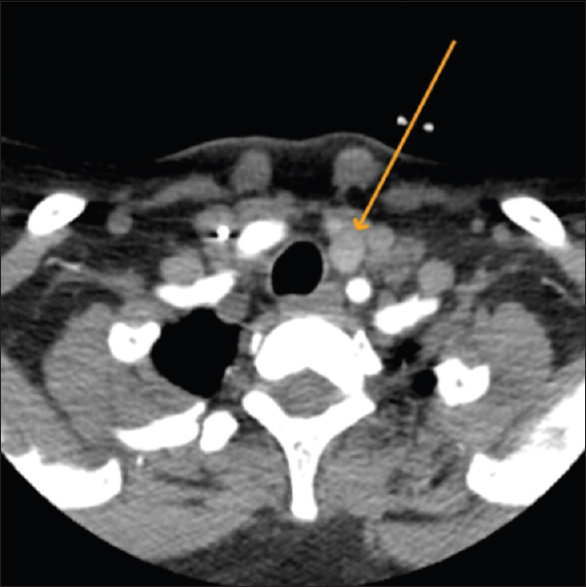 Evaluation revealed primary hyperparathyroidism (PHPT) and iatrogenic hypervitaminosis D. After medical stabilization, she underwent surgical removal of the parathyroid adenoma, and made a full recovery. This case highlights unmasking of subclinical hyperparathyroidism by vitamin D therapy leading to severe hypercalcemia. We report two cases of mesenteric ischemia in patients on long term peritoneal dialysis both of which were associated with poor outcomes. Both were diabetic and on peritoneal dialysis for a long time. On evaluation of refractory peritonitis we found evidence of non occlusive mesenteric ischemia.Despite adequate treatment both succumbed to their illness. Abdominal pathology, especially mesenteric ischemia leading to gut infarction, should be considered in patients with refractory peritonitis.